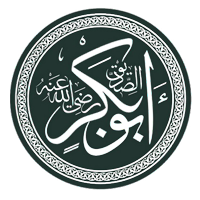 Abdullah ibn Abi Qhuhafah, better known by his nickname Abū Bakr (c. 573–August 23 634/13 AH), was the first Muslim ruler after the Prophet Muhammad (632–634). While Sunnis regard him as his rightful successor (caliph), chosen by the people, the Shias insist that he violated Muhammad's direct orders and made a Coup d'état. International lists have him as the first Muslim Caliph. His nickname means father of the foal in reference to his fondness for camels. This page was last changed on 18 November 2014, at 01:32.